The philanthropic arm of AirAsia Group, AirAsia Foundation, has launch its first social enterprise pop-up shop at klia2 ahead of this year’s holiday season. Named Destination: GOOD, the store retails thoughtfully selected social enterprise gift items from around the region. Opened as a joint collaboration with Malaysia Airports, Destination: GOOD pop-up at klia2 aims to create a unique shopping experience for travellers passing through the terminal. 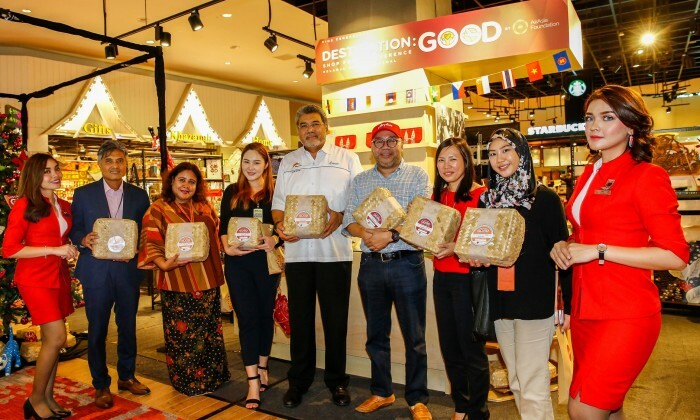 “Reflecting klia2’s position as AirAsia’s home base and the airport serving the widest Asean network, Destination: GOOD carries over 200 products, sustainably produced by 25 Asean social enterprises. Selection includes organic produce, stationery, accessories and home décor that fund good causes,” the airline said in a press release. Among homegrown social enterprises whose products are available at the store are Malaysian Unity of Cultures (MUOC), Bingka KL and Batik Boutique. From the rest of ASEAN region, the store features selections from Selaka Kotagede silversmiths from Indonesia, Rags2Riches artisans from the Philippines, Folkcharm weavers from Thailand and Zo Project paper-makers from Vietnam. The 24-hour 11.11 Global Shopping Festival is coming to Malaysia. .. The new service aims to give users the "ultimate" entertainment experience and content offering with programmes such as elite spor..
"Growing up, we were complete opposites. "..